So now that September has arrived, here's a little something different for those of you who are in the fall-cleaning/closet-purging/file-organizing mood! I made one of these organizers for myself a year ago as a solution to the piles of patterns I had lying around my sewing studio. It turned out so well that I ended up making of bunch of them to give away as Christmas gifts. I've been meaning to make a DIY video of it for awhile, and here it is! There's no pattern required - the video provides simple step-by-step instructions, as well as the measurements of all fabric pieces needed. 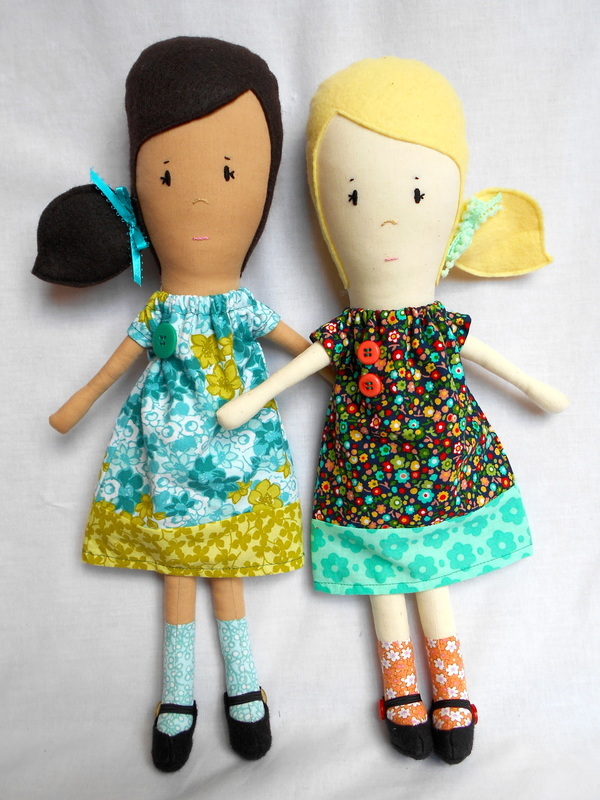 Time for a doll pattern giveaway... times 3! 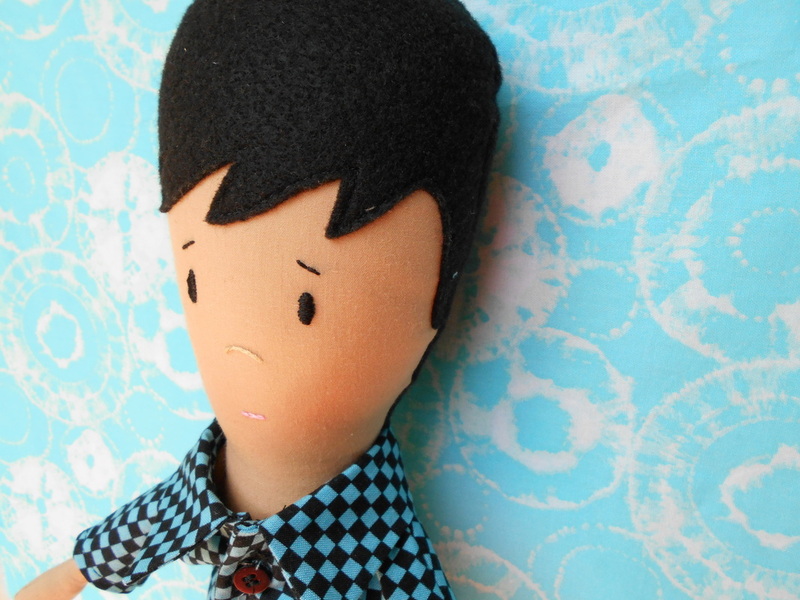 If you'd like to make a sweet Christmas gift for someone, or try your hand at doll-making, there are patterns for beginners or experienced sewers. To enter, 1. like this post , 2. follow my blog, and 3. send me a private message with your choice of any individual Blue Whimsy PDF pattern (see Etsy store for options: etsy.com/shop/bluewhimsyetsy). I'll choose three winners Monday evening! 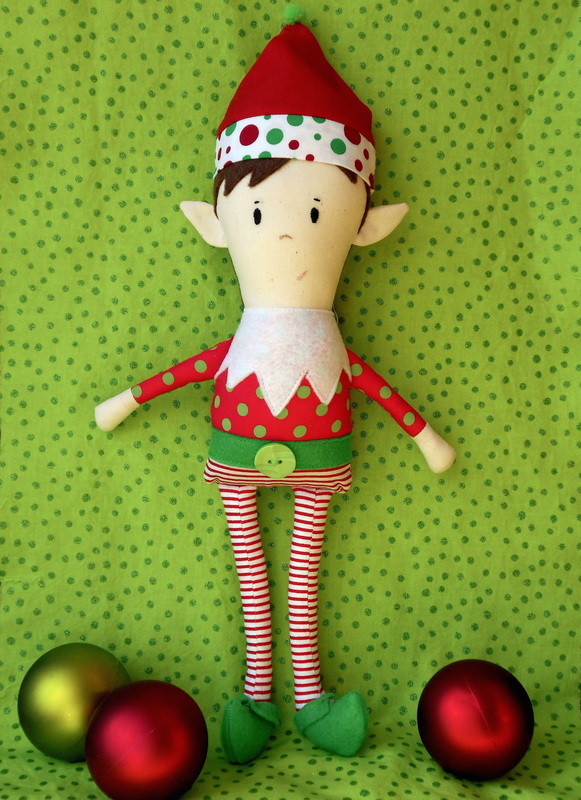 I've been wanting to create a pattern for a handmade Elf-on-the-Shelf-inspired doll for a few months, and am excited to have Hans & Holly Elf patterns complete and in the Etsy store! However, the concept of Elf-on-the-Shelf is not something that everyone loves. Recently I've heard people talking about Kindness Elves in favour of the more mischievous Elf-on-the-Shelf. It's an interesting thought - perhaps both versions could be a great way to evoke meaningful conversations with your little ones. 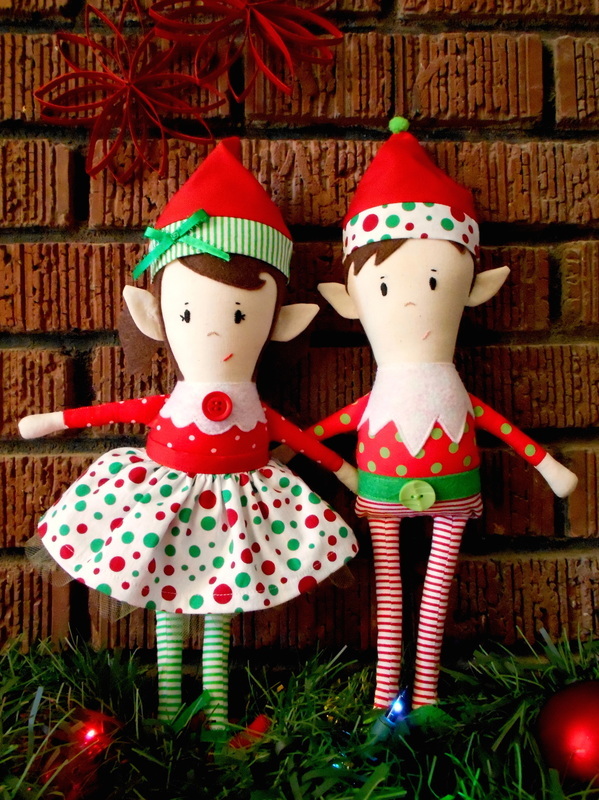 Whichever version of the holiday elves you prefer, the Hans & Holly dolls are a perfect way to help build anticipation for the holidays! These patterns are great for ambitious beginner sewers, or intermediate sewers. 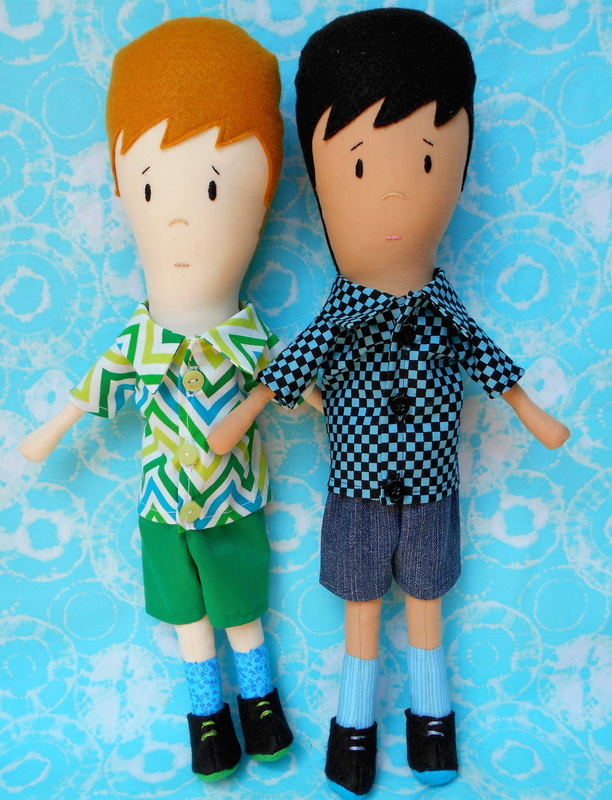 The finished dolls are approximately 12" tall. Happy crafting as we enter the holiday season! This Thanksgiving, one of the things I'm thankful for is the opportunity to share my love of creating dolls with all of you! 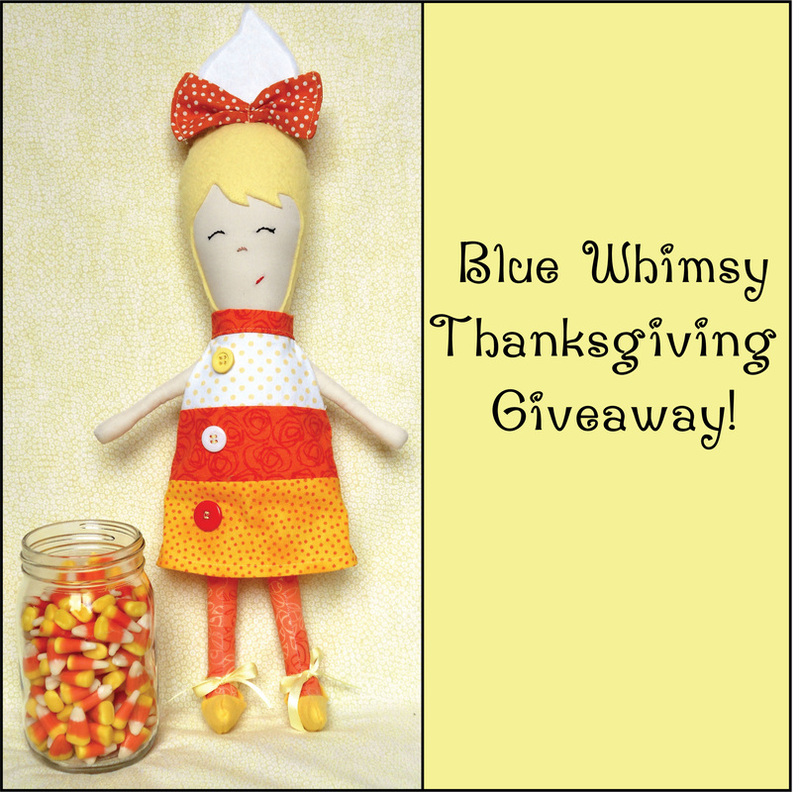 To celebrate Thanksgiving, and to say thank you to everyone who is so supportive of Blue Whimsy, I'm having another doll giveaway. This candy-corn-inspired Cornelia doll is the result of creating my most recent fall-themed pattern. You can enter to win her by sharing this post on Facebook, or posting it on Instagram (@bluewhimsy). Then, be sure to send me a private message so I can let you know if you win! The winner will be announced on Thursday, October 16th!! For those of you looking for a fun summer project, I have a free pattern for you to try! Meet Mermaid Milly; she's a tiny one - at about 10 inches from head-to-tailfin, she's the perfect size to tuck under a little arm! She's a great pattern for beginner sewers, or even junior sewers. 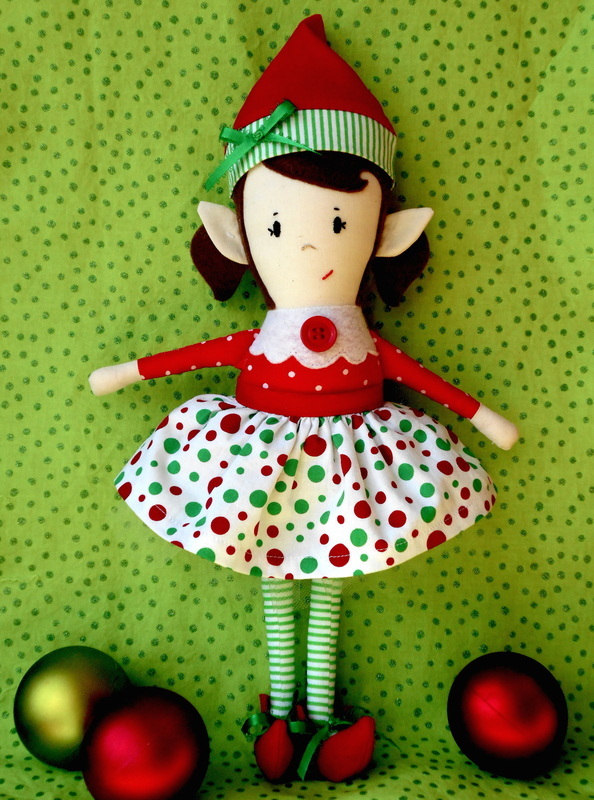 Just a few supplies and a couple of hours are all that's needed to make this sweet doll. 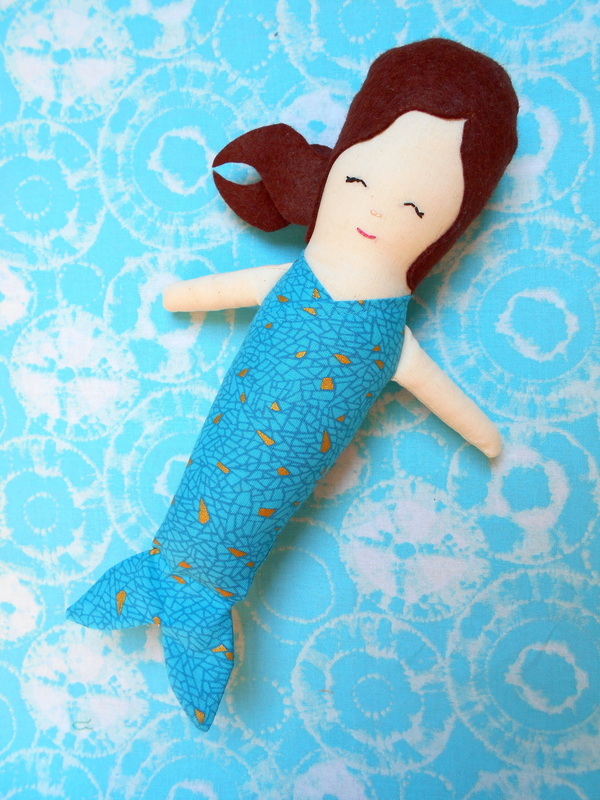 Download the Mermaid Milly Doll Pattern and get started! 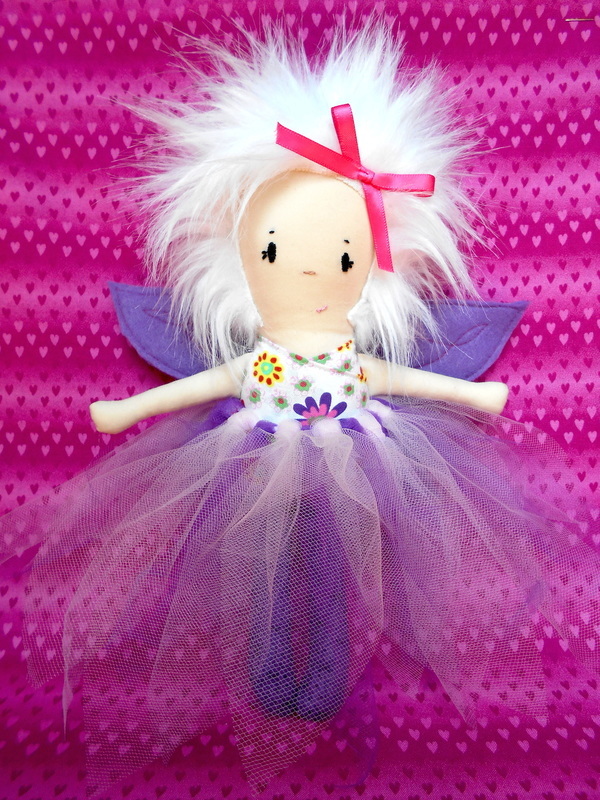 I've been thinking over ideas for a pixie or fairy doll for quite awhile, and decided to try an idea with some faux fur I have. Usually I try a few versions of a doll before I come up with a pattern I love, but this little pixie emerged on the first try! I love the faux fur hair - it gives her a slightly wild look, enhanced even more by her mischievous grin. Her felt wings are attached to the removable skirt. The finished doll is about 10 inches high - much smaller than my other 18-inch dolls. The sewing pattern is good for intermediate sewers and can be found on the Blue Whimsy Etsy store. 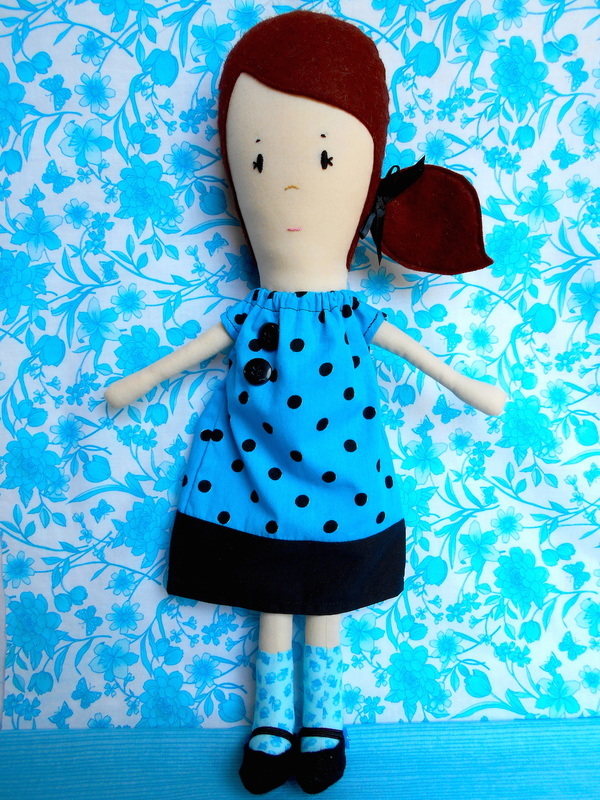 Since the start of summer holidays two weeks ago, I've been trying to get all of my ideas for dolls out of my head, into Adobe Illustrator, and through my sewing machine! Bridget is the first product of my summer of sewing. Her look is a little more grown-up than the Penny doll - perhaps it's the side ponytail, or maybe its the socks and shoes. Her cute smock dress has elastic at the neck for easy wardrobe changes. Bridget is a great summer project for intermediate sewers! 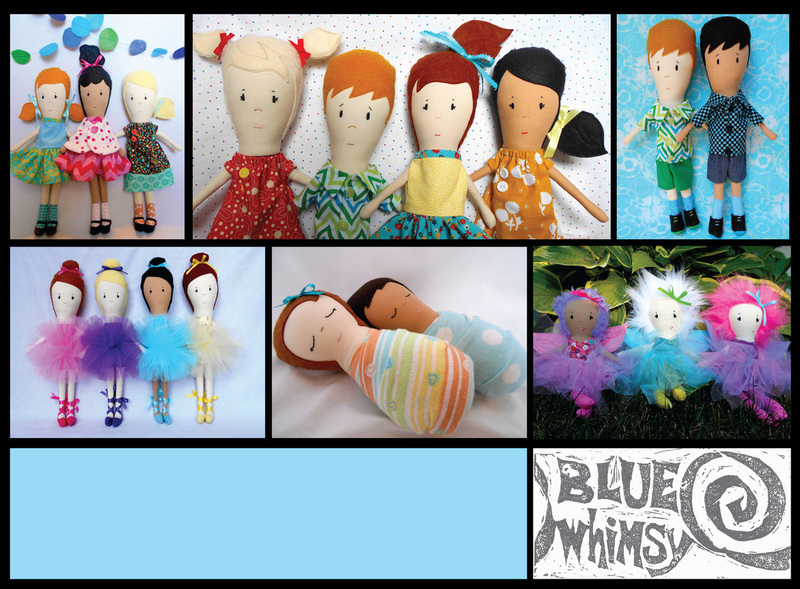 Meet Charlie, the latest addition to the Blue Whimsy dolls! 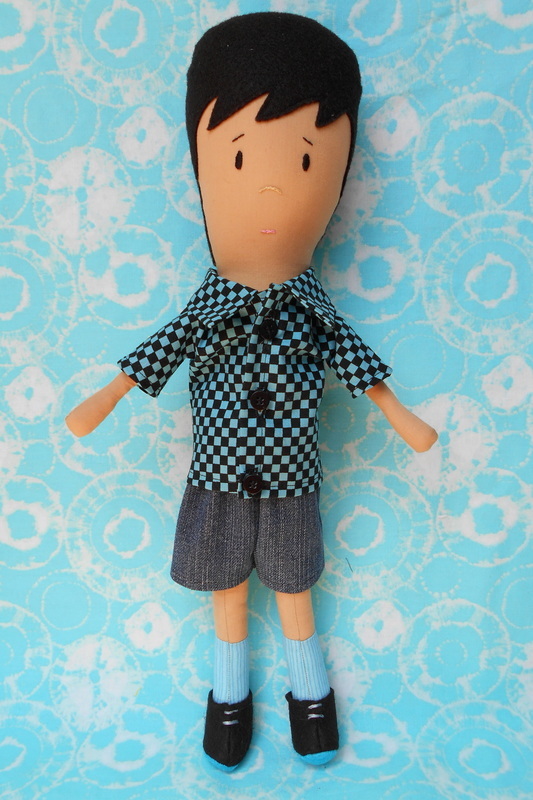 I've been wanting to come up with a great pattern for a handmade boy doll and, after a few ideas, I came up with Charlie! The finished doll is the same size as the Nora and Penny dolls (18 inches), and his outfit is removable so you can add to his wardrobe! (Keep an eye out for a pyjama pattern in the near future). The Charlie pattern is great for intermediate sewers. He's customizable, so depending on your choice of fabrics for his hair, skin, and clothing, he can be made to match any little boy! Whatever you choose, he's going to be cute!! 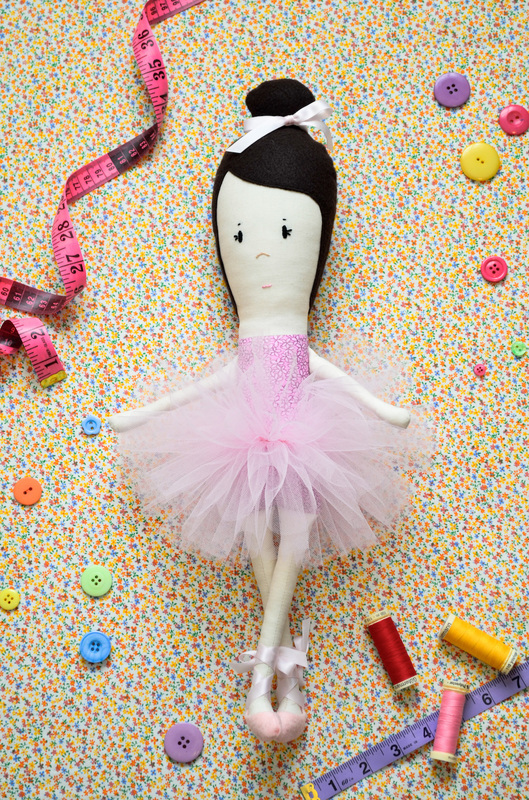 Congratulations to Charmaine Rempel, who just won this cute pink Nora Ballerina! Thank you to everyone who entered - keep an eye out for another giveaway sometime this summer!